Home Restaurant Deals Sonic: $0.50 Corn Dogs on December 5, 2018! Sonic: $0.50 Corn Dogs on December 5, 2018! 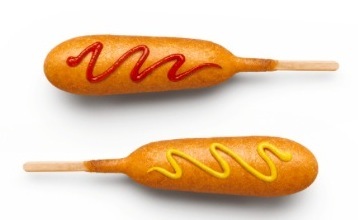 Sonic is offering corn dogs for $0.50 all day long on December 5, 2018. « Dentek Floss Picks 90-Count only $0.86 at Target! Next articleDentek Floss Picks 90-Count only $0.86 at Target! Panera Rewards: Possible Free Bagel Every Day in February!